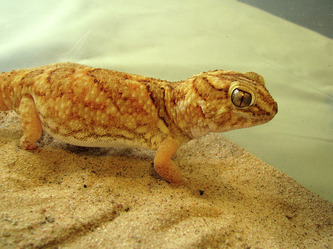 A new addition in 2010. I have been looking for this species for a couple of years. 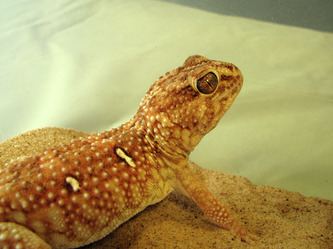 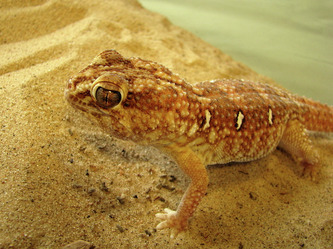 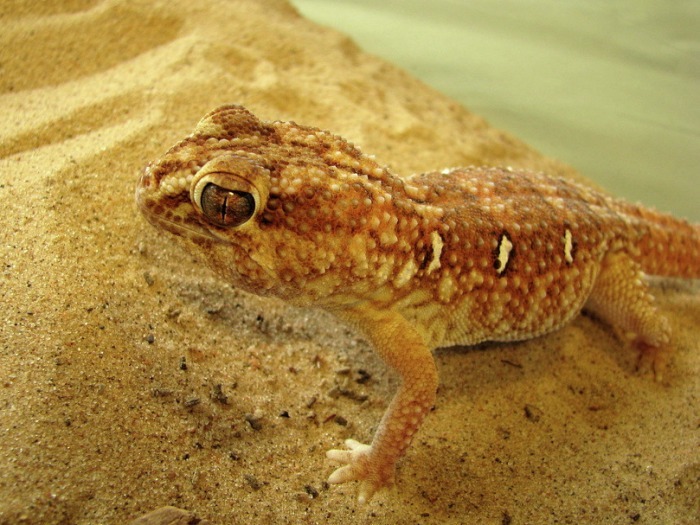 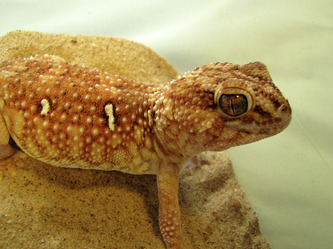 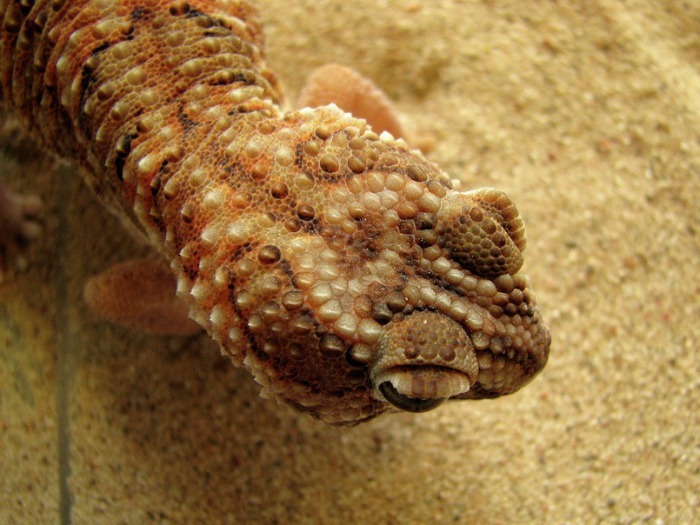 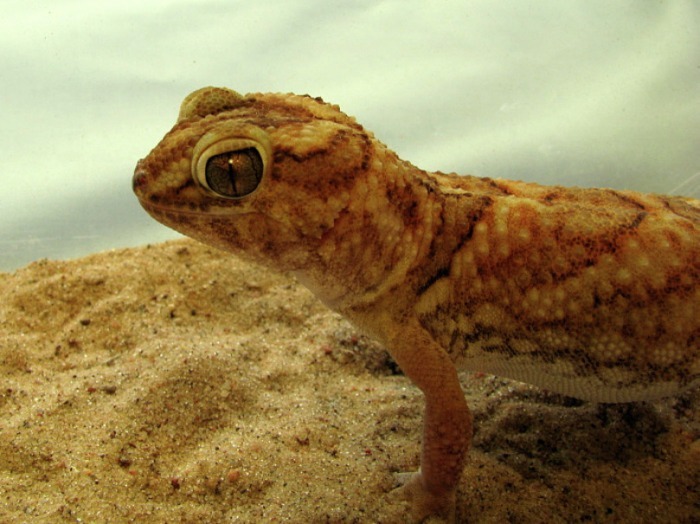 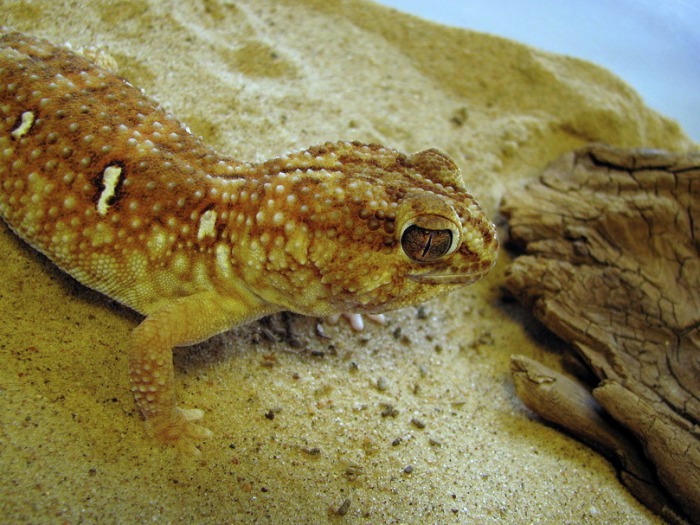 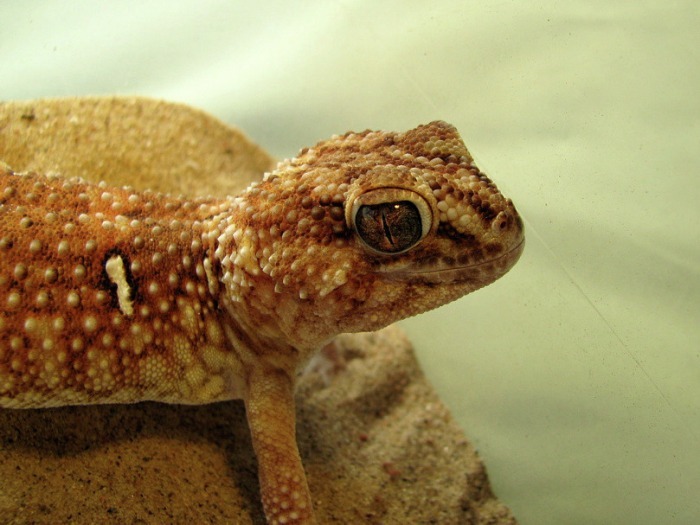 This is another gecko adapted to the harsh desert environment of Namibia. 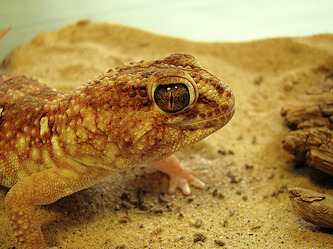 They have powerful jaws which are said to be capable of delivering a painful bite. There's something about big "blockheaded" geckos that I like. This species is also interesting in that the males are easily distinguished from the females by a row of white spots which the females lack. 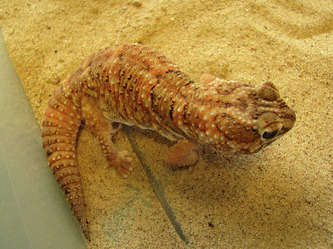 I was fortunate enough to be able to pick up a very nice trio this spring, and I am enjoying them immensely. 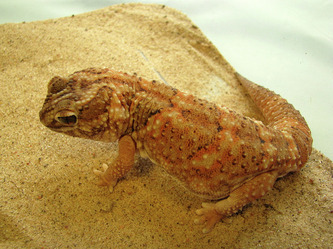 They will be ready to breed this summer. With luck, I should have babies available by fall of 2010.